New work from the Lebowski Cycle! 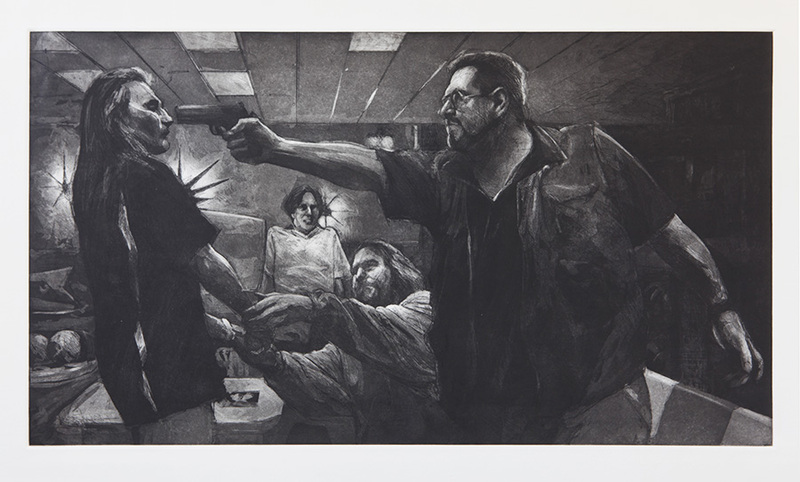 This hand-pulled print (etching and aquatint with soft ground) is based on the painting “The Taking of Christ”, which references Caravaggio’s painting of the same name. This is the first of several paintings from the Lebowski Cycle that I am going to tackle as prints. I’ve had a lot of people ask if this was a photo etching of the painting. It isn’t. The image is drawn by hand and printed by hand. The process demands a very different approach to building images than painting does, and lends itself to a very different range of possibilities. Working in black and white also creates a different feel, which I was very interested in exploring. The edition is printed on 100% cotton paper in a hand pulled edition of 30. Each print is signed and numbered. The price is $300.00 and includes FREE Shipping and Handling within the Continental US. Exhibition posters of The Oath of the Horatii, from the Lebowski Cycle Exhibition are also still available 28.00. (The posters include FREE Shipping and Handling within the Continental US). The poster is an 18 X 25.25 Digital Offset Print – Limited Edition of 200 – Signed and Numbered by the Artist. A list of prints and posters can be found the main menu bar. 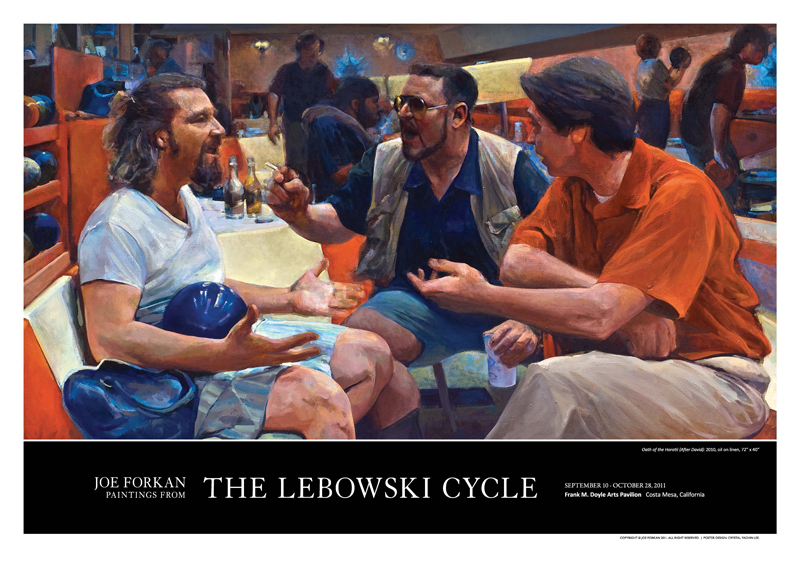 This entry was posted in Prints, The Lebowski Cycle on September 17, 2012 by Joe Forkan. These are absolutely amazing . I’d like to purchase the Lamentation if possible . I also live in OC . Shoot me an e-mail if you’re interested in an original, and I’ll send you prices.